MOSCOW (Sputnik) - The Israeli artillery hit on Saturday a military facility in the southern Zeitoun district of the Palestinian city of Gaza, local media reported. On Saturday, the Israel Defense Forces (IDF) said that two rockets targeting Israel had been fired from the Gaza Strip, with one of them intercepted by the Israeli air defense system and the second one failing to reach the target. 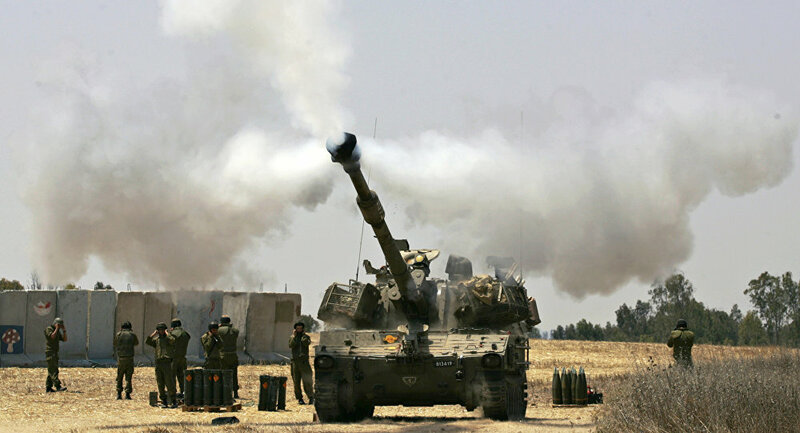 According to the Palestinian WAFA news agency, the Israeli artillery deployed near the border with the Gaza Strip fired at least two shells to hit the military facility. The facility was reportedly destroyed with no people having been injured in the attack.